The legal battle royal over who invented CRISPR gene-editing technology is now playing out in a federal appellate court, where the University of California (UC) and its partners in a European patent for the gene-editing technology are seeking to overturn a Patent Trial and Appeal Board (PTAB) decision siding with the Broad Institute of MIT and Harvard. The UC Regents, the University of Vienna, and Emmanuelle Charpentier, Ph.D., a director at the Max-Planck Institute in Berlin, requested that the U.S. Court of Appeals for the Federal Circuit overturn the PTAB’s finding of “no interference in fact” between 12 patents related to CRISPR (clustered regularly interspaced short palindromic repeats) technology that list as inventor Feng Zhang, Ph.D., of the Broad, and a patent application by Dr. Charpentier and Jennifer Doudna, Ph.D., of UC Berkeley. As a result, the PTAB held, the application can be returned to the U.S. Patent and Trademark Office (USPTO) examiner who previously determined it allowable for review. 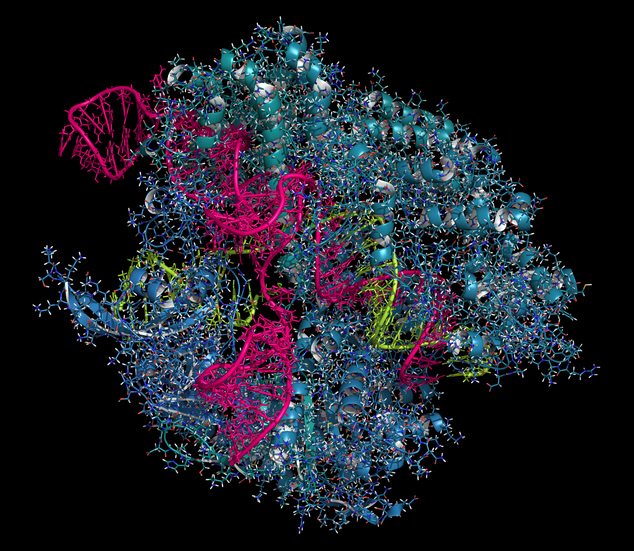 The filing of the appellate brief was announced yesterday by four licensees of the European patent holders—CRISPR Therapeutics, Intellia Therapeutics, Caribou Biosciences, and ERS Genomics. UC Berkeley and the other European patent holders were granted their patent in March by the European Patent Office. They signaled their intent to appeal the PTAB decision in April. In their 134-page appellate brief, they asserted that the PTAB misapplied legal standards established by U.S. Supreme Court and Federal Circuit precedents when it determined that the UC’s patent claims did not make the Broad’s patent claims obvious. Applying an overly narrow and restrictive approach that ignored steps employed by those of skill in the art at the time, and also effectively required a “guarantee” that UC’s CRISPR/Cas9 invention would work in eukaryotic cells, when well-established case law requires only a “reasonable expectation of success. Ignoring Supreme Court and Federal Circuit precedent that inventions arising closely in time reflect strong evidence of obviousness. The UC and partners cited successful applications of its CRISPR/Cas9 invention by six labs in eukaryotic cells, months after UC publicly disclosed the invention, with some instances pre-dating the Broad’s first filing. Failing to consider that the Broad’s patents did not reflect any significant innovation, with UC stating that the Institute used conventional prior art techniques in its eukaryotic application of UC’s CRISPR/Cas9 invention. Not requiring the Broad to prove the effective priority date for its patent claims, despite PTAB rules and Federal Circuit precedent, and ignoring intervening art that made obvious the Broad’s claims. The UC and partners also noted that PTAB found UC’s claims to CRISPR/Cas9 single guide gene editing technology, and applying that technology in any cellular or non-cellular setting, did not make obvious the Broad’s claims to limiting application of the same technology to eukaryotic cellular settings. As a result, UC and its partners argued, the Federal Circuit should agree to their earlier request that the PTAB reinstate the interference proceeding so that priority of inventorship could be determined. At a minimum, they added, the interference proceeding should be remanded to the PTAB in order to consider evidence related to obviousness and Broad’s no-interference-in-fact motion. UC and partners took issue with the PTAB not considering UC’s own prior-filed patent application concerning use of CRISPR/Cas9 in eukaryotic cells, but instead only addressing whether use in eukaryotic cells can be separately patentable from use in all settings as covered by UC’s claims. In their brief, the European patent holders cited decisions by other countries to grant them patents for CRISPR/Cas9 in all settings, including eukaryotic cells—including the United Kingdom, nearly 40 other countries that are members of the European Patent Convention, and Asia-Pacific nations such as Australia, New Zealand, Singapore and China. Last month, Australia granted a CRISPR patent to MilliporeSigma, the life science business of Merck KGaA, relating to the use of CRISPR in a genomic integration method for eukaryotic cells. The European patent holders also said the USPTO had rejected patent applications filed by Broad that were directed to uses of CRISPR/Cas9 technology in eukaryotic cells as being non-novel in view of UC’s patent application, which the USPTO examiners considered to have effectively taught use of the CRISPR/Cas9 technology in eukaryotic cells. The UC and partners also cited recent rejections of patent applications filed by Sigma-Aldrich (now part of Merck KGaA) and Toolgen that similarly claimed use of CRISPR/Cas9 in eukaryotic cells, on grounds that they were either non-novel or obvious in view of the UC patent application concerning application of the invention in eukaryotic cells. The Broad restated that confidence in a statement this afternoon that also took issue with one of the arguments of UC and partners. “The [UC] brief hinges on its argument that, although [UC's] work simply involved characterizing a purified enzyme in a test tube, it rendered obvious that genome editing could be made to work in living mammalian cells. This is inaccurate, as the PTAB noted repeatedly in its decision,” the Broad stated. The Broad is due to file its opening appellate brief on October 25. [This report has been updated to include a statement issued today by the Broad Institute of MIT and Harvard].